Time is a key factor in a delightful whisky experience. We’re not in a hurry to get drunk, we want the sensation to last. Such matured whisky deserves a time-honored drinking vessel to bring out its best. 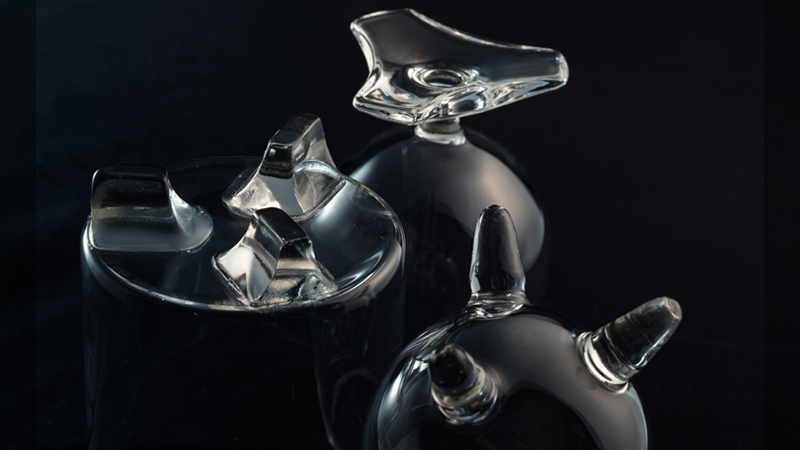 Meet Tripod Tasting Glass, a set of antique-inspired glassware, specially designed for whisky tasting and nosing, and demonstrating drinking culture of the orient. Order your set now and have gauranteed delivery before Christmas, for your one of a kind, exotic holiday experience. 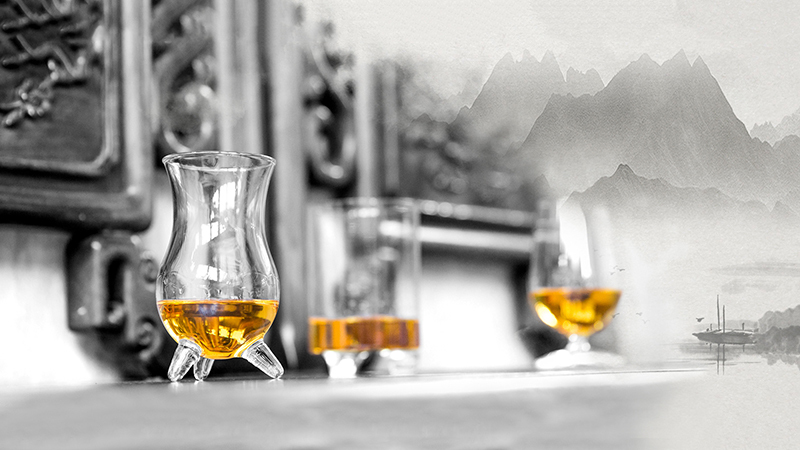 Whisky comes with rich and complex aroma, and while the composition of spirit itself doesn't change, the glass DOES influence how you taste the whisky. Having tested various vessels, scientists have concluded that the size and the shape of the glass determines how the aroma and texture are perceived. 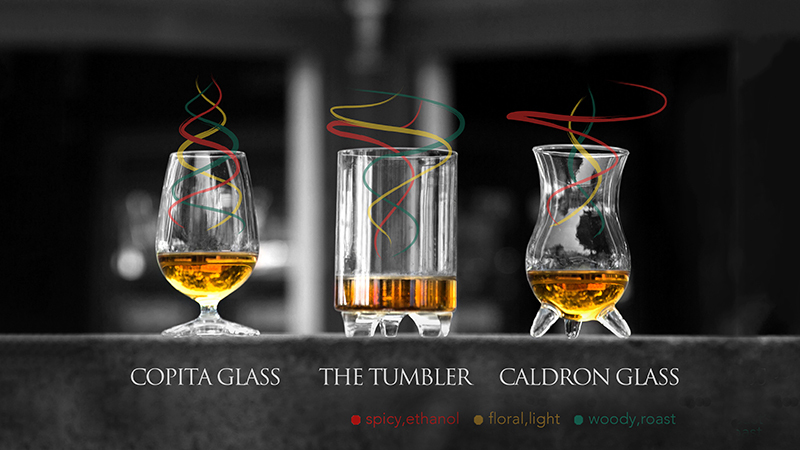 Tripod Tasting Glasses come in 3 different glasses, each unveiling different aroma features, and complementing each other to compose a fulfilling whisky experience, for you to enjoy each and every spect of your whisky. ISO Tasting Glass (Copita Glass): Aromatic flavor distributes evenly at the rim, presenting the most unbiased and original taste of your spirit. Cylinder Tasting (Tumbler): The wide opening allows ethanol to dissipate quickly, and for drinkers to have the wild and straight flavor. Retro Tasting Glass (Caldron Glass): The distinctive shape concentrates rich aroma in its round belly, and let the fruity and floral bouquets flows naturally along the flared rim. “Three” is the magic number in Chinese culture. It embodies harmony between humans, the gods and the nature. In addition, design physics-wise, triangle structure is the most balanced and steady stand, and it enables drinkers to hold the drink firmly. With our Tripod Glass, we aim to revive elegance & grace in modern drinking culture.